Walls, if not properly insulated, can be a major source of heat loss in any building. In fact, roughly 33% of the total heat loss from a domestic dwelling with no cavity wall insulation of any kind is through the walls. The importance of cavity wall insulation therefore cannot be underestimated. Not only can it reduce the amount of energy required to heat your home and the associated costs by 15% or more, but it can, in turn, reduce emissions of carbon dioxide (CO2), the main “greenhouse” gas. To install cavity wall insulation your home must, of course, have cavity walls in the first place. These comprise an outer and an inner leave of brickwork with a gap or “cavity” in between. Houses built after c.1930 and before c.1995 are likely to have walls of this type. Cavity wall insulation – usually mineral wool or polystyrene beads or some other material guaranteed by CIGA (“Cavity Insulation Guarantee Agency”) – is injected from the outside of your home into the cavity. In combination with the air already present in the cavity the material forms an effective barrier against heat loss. Cavity wall insulation also creates an even distribution of heat throughout your home so that condensation and damp patches on walls, ceilings, etc. become a thing of the past. Cavity wall insulation keeps your home cooler in the summer as well as warmer and more energy efficient in the winter. 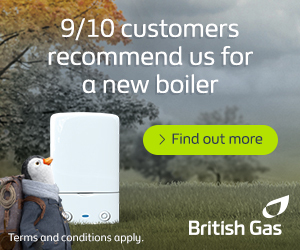 NEXT POST So What Is British Gas Boiler Homecare?